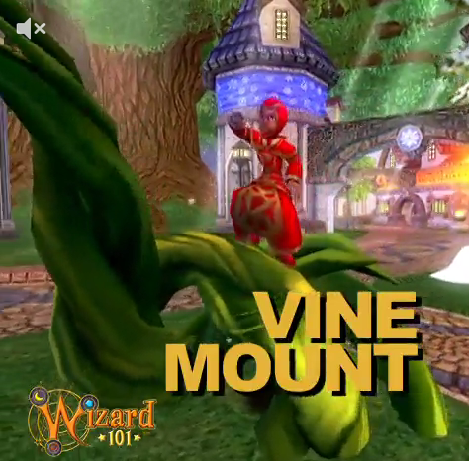 Around the Spiral with Edward Lifegem: Wizard101 Vine Mount Vine! Today Kingsisle released a new video of a new vine mount that will be arriving into the game soon! I think this is one awesome new mount and I can't wait to see it on the game. I know I will get my life wizard this mount, no matter the cost. If you would like to check the vine out, just click the image attached to this post. :D Thank you for reading and thank you Kingsisle for this future mount. :) More news about this mount will be announced this mount soon!